The ezTalks Rooms is a conference room solution, which can be used to host/join audio and video meetings or host/join webinars. 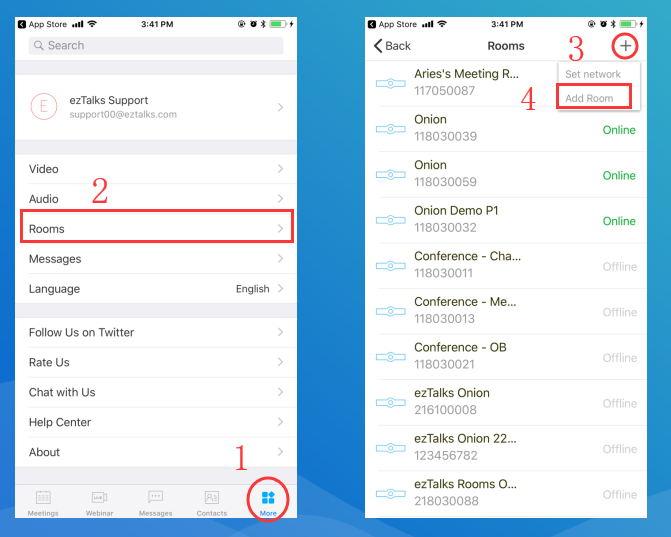 This article is about how to add ezTalks room to the ezTalks app. Sign in the ezTalks app on your computer or mobile device. Please note: If you have not registered an ezTalks account yet, please click Sign up with your email address or directly sign in with your Facebook or Google account. 2. 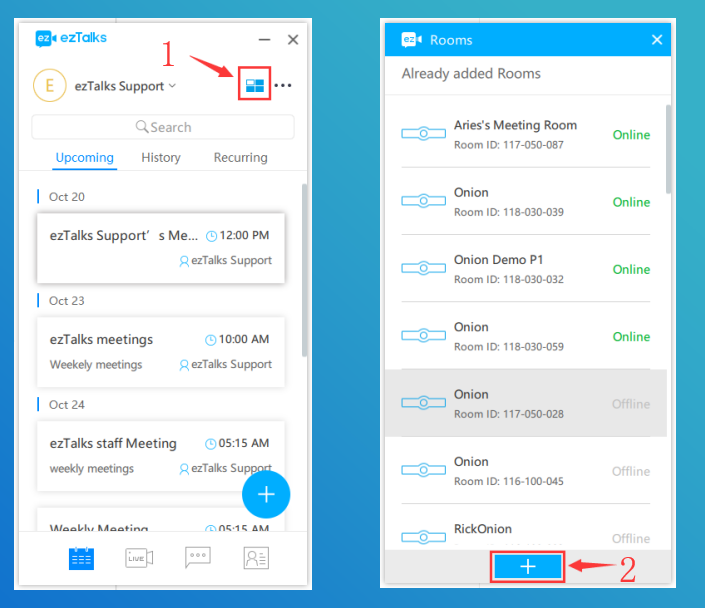 Add rooms on ezTalks desktop app.